Update: You can find a Novice AND an Intermediate unit for the new lotería commercial here on TPT and a preview here. 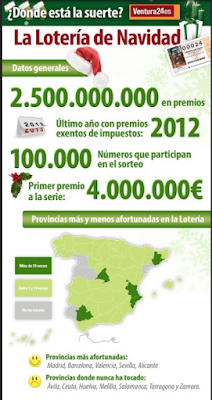 I LOVE the anuncios for la lotería navideña! They tell wonderful, heart warming stories and they are the perfect basis for a CI Story Unit that is full of cultural products, practices, and perspectives! Students LOVED this unit last year and it was the perfect way to spend the two weeks before Christmas break! And here are my favorites that I have used in class. And here is a link to article with even more! I have created a unit packet with resources for three commercials (and I also use Martina Bex's resources for Justino): the 250th anniversary, Carmina, and Danielle. See below for free resources and previews of Carmina and Danielle. I will be adding resources for the new commercial to that bundle soon! Hi Kara! Once again, thank you for sharing WONDERFUL resources! I have a general question - on many of your Slides presentations, you have a slide (or slides) containing screenshots of the video that are numbered. What activity (or activities) do you do with those screenshots? I am not quite sure what to do when that slide comes up. Thank you for all you do! There are probably others too! Hope that helps!